New Delhi, April 9 (IANS) Delhi Chief Minister Arvind Kejriwal on Saturday announced guidelines for the second leg of the ‘odd-even’ traffic scheme in Delhi, saying women drivers and vehicles carrying students in uniform will be exempted from the restrictions. 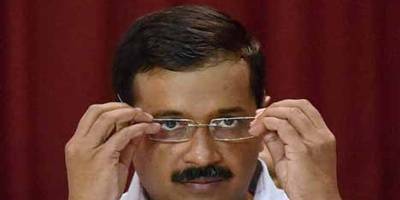 "Women drivers, CNG-operated vehicles, chief ministers of states and vehicles carrying students in uniform will remain exempted from the restrictions of the second phase of odd-even traffic scheme," Kejriwal told reporters. Delhi’s chief minister and ministers would not be exempted from ‘odd-even’ restrictions, he said. He also launched a helpline for ‘odd-even’ part two. The second phase of the odd-even traffic scheme will start on April 15 and will continue for a fortnight. The Delhi Pollution Control Committee (DPCC) will gauge the impact of the second phase of the odd-even plan on the capital’s air quality at 119 locations in and around the city.